ZTE announced its next flagship just a day before the MWC opens in Barcelona. The ZTE Grand S3 may sound like most of the top smartphones in 2014, but it has one very distinctly and innovative feature - it is the first phone ever to use eye-based biometric security. ZTE Grand S3 comes with a 5.5" 1080p display and runs on the Snapdragon 801 chip with quad-core Krait 400 CPU at 2.5GHz, Adreno 330 GPU and 3GB of RAM. It also offers 16GB expandable storage, 16MP rear camera with dual-LED flash and an 8MP front selfie snapper. There is also LTE connectivity, Wi-Fi ac, Dolby Sound and a 3,100 mAh battery. ZTE Grand S3 comes with Android 4.4 KitKat. While the ZTE Grand S3 does sound like a blast from the 2014, it has something that none other competitor can match - an eye-based biometric security via the Eyeprint ID. The innovative tech is developed by EyeVerify and can be used for authorizing mobile payments, unlocking the screen or accessing secure content. Scanning your eyes isn’t as fast as the finger-print senor, but it is even more secure than the finger-print recognition technology - probably because the phone need to scan both of your eyes. Since this is done by the front 8MP camera, which has no LED flash, unlocking the screen or authorizing payments with your eyes in low-light conditions won't be possible. 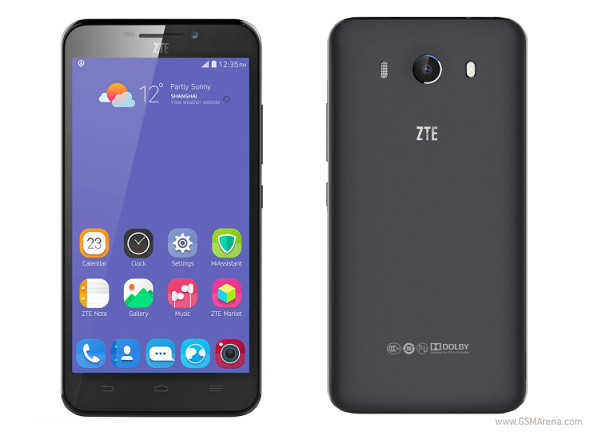 ZTE promises to implement the Eyeprint ID on all of its upcoming Grand smartphones. The ZTE Grand S3 is already available for purchase in China and it costs CNY 2999 (or €430). There is no info on the global rollout. Are you serious? My friend has almost same voice as me. What, if somehow he fights me, stole my phone and use his voice to unlock my phone? So your 'voice security' is just useless as other technologies. Its NOT! Until internet provides don't remove their stupid data cap, 'everything online' will be not a future at all. I pay $ 5 for 1 GB and thats a 3G. Damnit.